Transparency is necessary, but not sufficient, to protect citizens and business from the consequences of corruption. Open data must be put to use by an informed and organized civil society and citizenry to expose corruption and create lasting change. 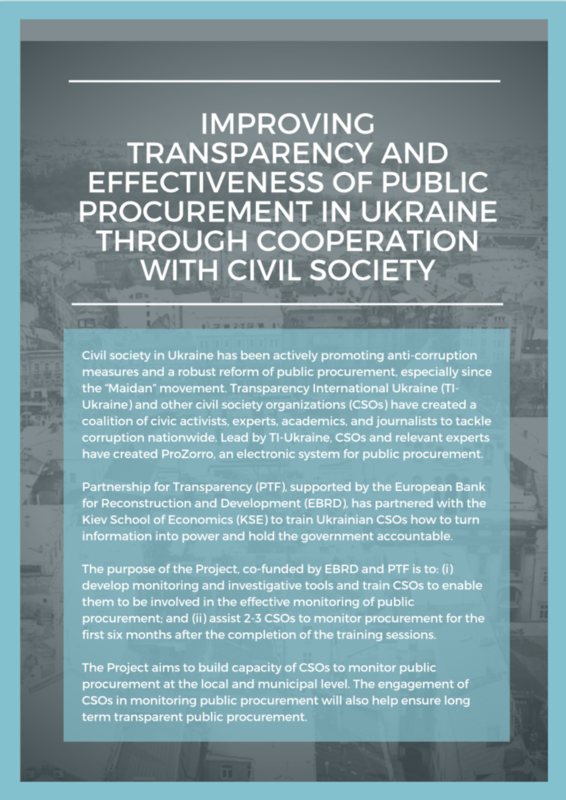 Partnership for Transparency, supported by the European Bank for Reconstruction and Development, has partnered with the Kiev School of Economics to train Ukrainian civil society organizations how to turn information into power and hold the Ukrainian government accountable.